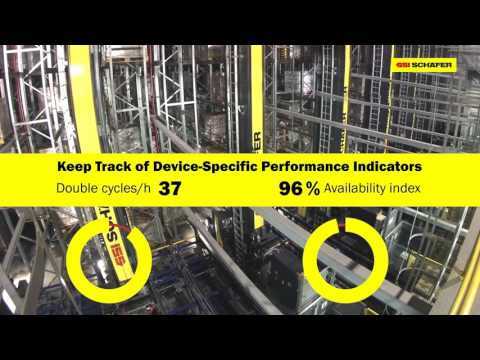 Understanding exactly how your material handling equipment is performing is a must. The high level of efficiency required of process workflows in both manual and fully automated storage systems demands measurability and visualization. Now, there is WAMAS® Lighthouse, a comprehensive platform from SSI SCHAEFER. Simply put, WAMAS Lighthouse integrates with all of your material handling equipment in order to give you real-time details about performance, handling, downtown, etc. all on an easy to read dashboard. Status updates can send error notifications to key personnel, serve up alerts to maintenance, and even offer updates on picking performance. WAMAS Lighthouse supports multiple locations, and can be used with any WMS software. With an optimized web-based user-friendly interface, WAMAS Lighthouse displays on both PC and mobile devices—keeping everyone in touch. WAMAS® Lighthouse is truly a versatile software solution that easily integrates into all of your material handling equipment—enabling real time updates on key performance indicators. With WAMAS Lighthouse, everyone can have a bird’s eye view of the entire distribution process. Leveraging WAMAS® Lighthouse by SSI SCHAEFER enables companies to keep personnel abreast of system performance, any issues that may arise, and even detect performance gaps.